It’s Trivia Thursday! 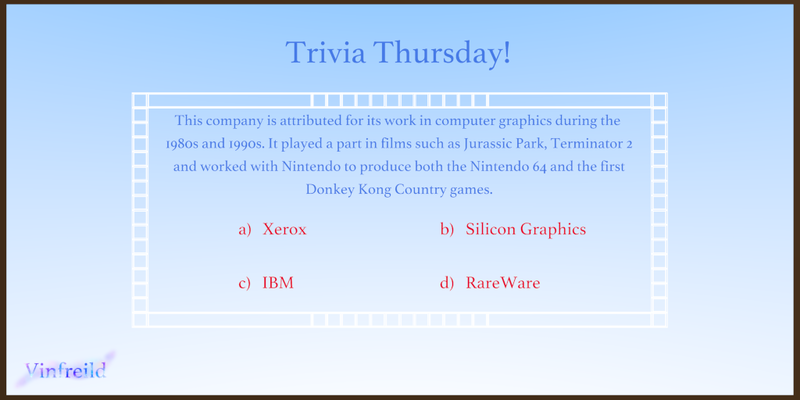 Test your knowledge of Computer Graphics and their history by choosing an answer to today’s question! (Try your best to select the most appropriate answer without consulting a search engine). 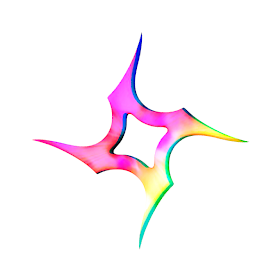 "This company is attributed for its work in computer graphics during the 1980s and 1990s. It played a part in films such as Jurassic Park, Terminator 2 and worked with Nintendo to produce both the Nintendo 64 and the first Donkey Kong Country games." Below, comment your answer choosing a, b, c or d. There are no trick questions and the answer is included in one of the options above. We will announce the correct answer each Friday after the question.